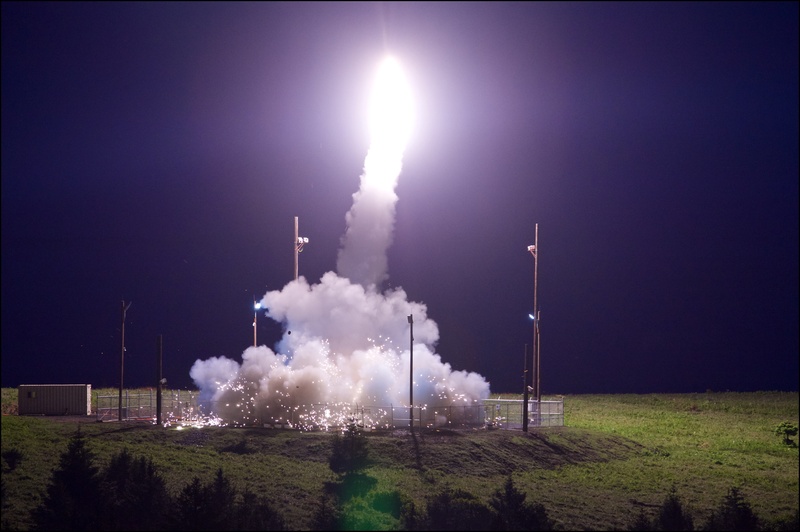 Kodiak Island’s rocket launch facility was one of the players in a missile defense test this week. The Alaska Aerospace Corporation is in a multi-year agreement with the U.S. Department of Defense Missile Defense Agency for a maximum of $80.4 million, according to Alaska Aerospace CEO Craig Campbell. “For this year, they’re gonna be doing a couple of launches of the THAAD missile, the Terminal High Altitude Air Defense program, that the military has been actively using for a while,” Campbell said. U.S. Missile defense has drawn even more attention following a North Korea missile test last week. The U.S. Department of Defense reported that, according to U.S. Pacific Command, North Korea had launched a missile on July 4 which traveled for 37 minutes and landed in the Sea of Japan. This most recent U.S. exercise tested defense against an intermediate-range missile. According to an Missile Defense Agency news release, a U.S. Air Force C-17 aircraft air-launched the missile in the Pacific Ocean north of Hawaii and a THAAD weapon system in Kodiak then “detected, tracked, and intercepted” it. A U.S. defense official said they could not confirm the exact time, but the launch took place overnight between Monday and Tuesday. He added that the “intercept” used kinetic energy. He said the missile “forehead is obliterated” and drops into the sea. A video of the incident shows a burst of flame upon impact and debris falling into the ocean. The news release states that this is the 14th successful intercept out of 14 attempts for the THAAD weapon system.